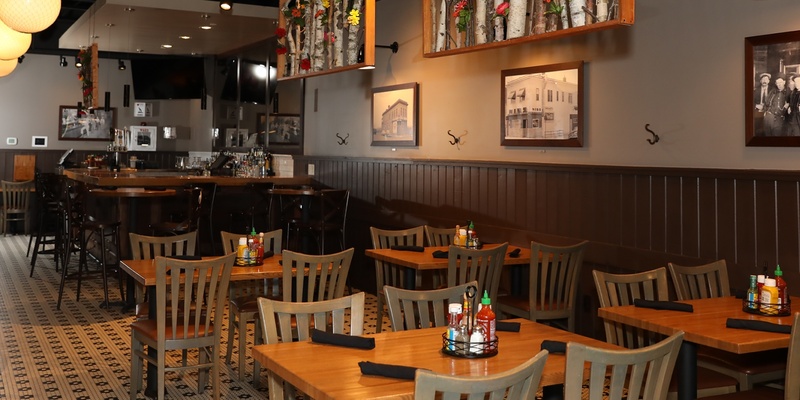 Featuring a full bar, sound system with microphone, WiFi, and 2 big screen TVs, our private dining space is perfect for groups of just about any size, from 12 to 75. So whether it’s a company outing, rehearsal dinner, baby shower, birthday party, office happy hour or just about any event you want to make special, our events coordinator will work with you to ensure that every detail is planned from the menu to the bar to the decor. For more information or to reserve our private dining room, please email events@tavern4and5.com or call 952-934-4545. Room may not be available every day, and there may be a food and drink minimum. Copyright © 2019 Tavern 4&5. All rights reserved.